I took bellydancing here with Celeste for about six months. I had to take a break due to scheduling issues, but I hope to be back as soon as possible. I can't say enough good things about Celeste (or Isabelle, her real name). She's very approachable, funny, a good teacher and has an adorable French Canadian accent. A six-week course costs $60, meaning that each hour-long lesson is only $10. Worth every penny, I tell you! If you've ever been remotely interested in bellydancing, I highly recommend studying here with Celeste. 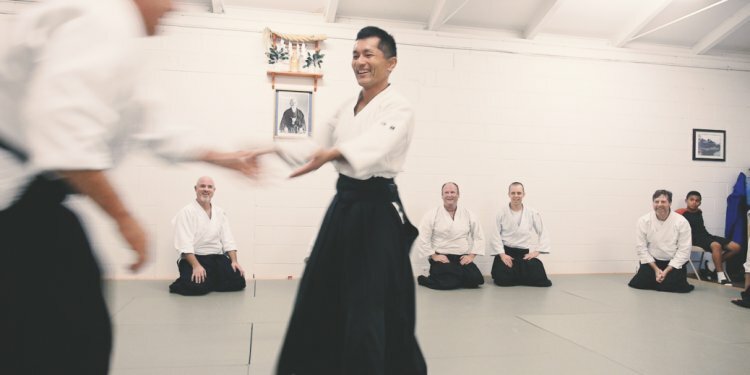 The facility also is home to, as the name would suggest, Aikido and T'ai Chi classes, as well as some other dance classes. It's in a fairly convenient location right off of Binford Boulevard. As with Sarah's review, I also take bellydancing with Celeste here ( She's awesome, dancing is awesome, and the building is alright. Everything that Sarah says still holds true. I don't really know anything about the Aikido here, but I do know it's kind of funny to bellydance in one room while they yell and grunt in another. Great Aikido Instructors. All the black belts take the time to help students that are new or ones that are just a bit rusty with the techniques. Aikido is great exercise, you get to learn how to defend yourself, and it a ton of fun. They have classes for both adults and kids which is great for families.